Don't accept regular fatigue as part of aging. Weariness, tiredness, lack of energy. There are many ways to describe those times when you are so fatigued you can't do anything. Often you bounce back after a quick rest or a good night's sleep, but if fatigue is occurring more often and lasting longer, it could be a sign of something more serious. 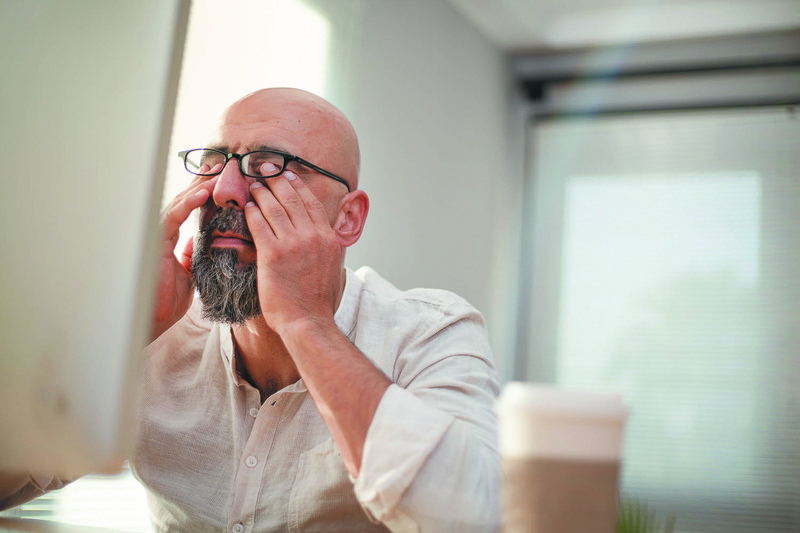 "Men may chalk up fatigue to aging, but there is no reason you should battle ongoing fatigue," says Dr. Suzanne Salamon, a geriatric physician with Harvard-affiliated Beth Israel Deaconess Medical Center. "Everyone gets tired sometimes, and your endurance may decline with age — you may not move as fast and sometimes tire quicker — but you should never be too fatigued to enjoy an active lifestyle." Medication. Certain medications can make you feel tired, such as blood pressure drugs, antidepressants, anti-anxiety drugs, and antihistamines. "People react to medications differently and they often end up taking more as they get older," says Dr. Salamon. Check with your doctor, especially if you have added a new medication or recently increased your dosage. "Sometimes it helps to take certain medicines, which may cause fatigue, at night rather than in the daytime," she says. Low-grade depression or anxiety. Mental health issues often drain energy levels. "You may suffer from depression or anxiety and not even know it," says Dr. Salamon. Drink a cup of coffee or tea. A little caffeine can jump-start your day, she says. "You don't need more than that, but it can offer a mental and physical lift, especially if you have trouble with morning fatigue." Go for a 30-minute walk. "If you can't get outside, walk around your house in bouts of 10 to 15 minutes, two to three times a day," says Dr. Salamon. Take a nap. A midday nap can help overcome tiredness later in the day. Keep naps to about 20 to 30 minutes, as studies have suggested that napping for 40 minutes or longer can have the opposite effect and leave you feeling groggy rather than refreshed. Also, don't nap too late in the day. Skip the alcohol. Cut back on your alcohol intake, or even eliminate alcohol for a few weeks. Men may be surprised how much better they feel without a daily drink or two. A medical checkup can identify issues that may cause fatigue. Severe fatigue could be a sign of chronic fatigue syndrome, a mysterious disorder characterized by profound fatigue that does not improve with rest and may get worse with physical or mental activity. Your doctor can help diagnose and suggest possible treatments.